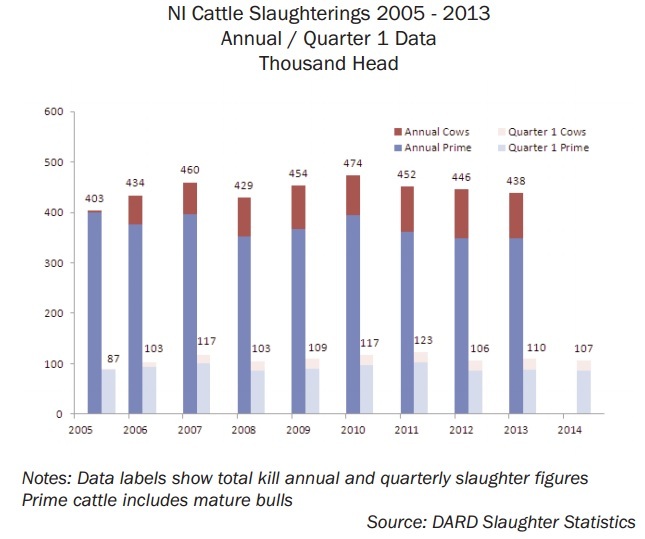 Northern Ireland cattle slaughterings have been in a state of gradual decline over the last 10 years. 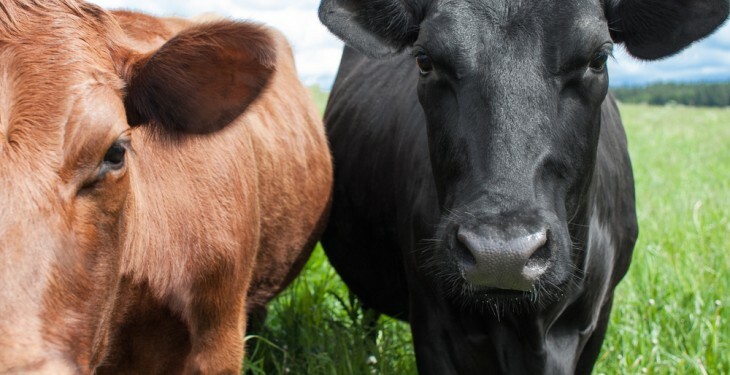 According to the Livestock and Meat Commissions (LMC) quarterly update in 2005, when cows (over 30 months) were ineligible for the food chain, Northern Ireland factories slaughtered about 403,000 head, 99% of which were prime cattle. Last year the total kill was 438,000, which included 90,000 cows. The LMC noted that the underlying decline in prime cattle numbers was 61,000 head or 15% between 2005 and 2013. It said much of this decline had already occurred by 2008. A temporary recovery in the suckler herd at the end of the last decade, coupled with a higher level of live imports, meant that supplies of prime cattle increased sharply in 2010 almost recovering to 2005 levels. However, the LMC outlines that slaughter numbers once again came under pressure as calf birth registrations levelled off and Northern Ireland became a net exporter of live cattle. 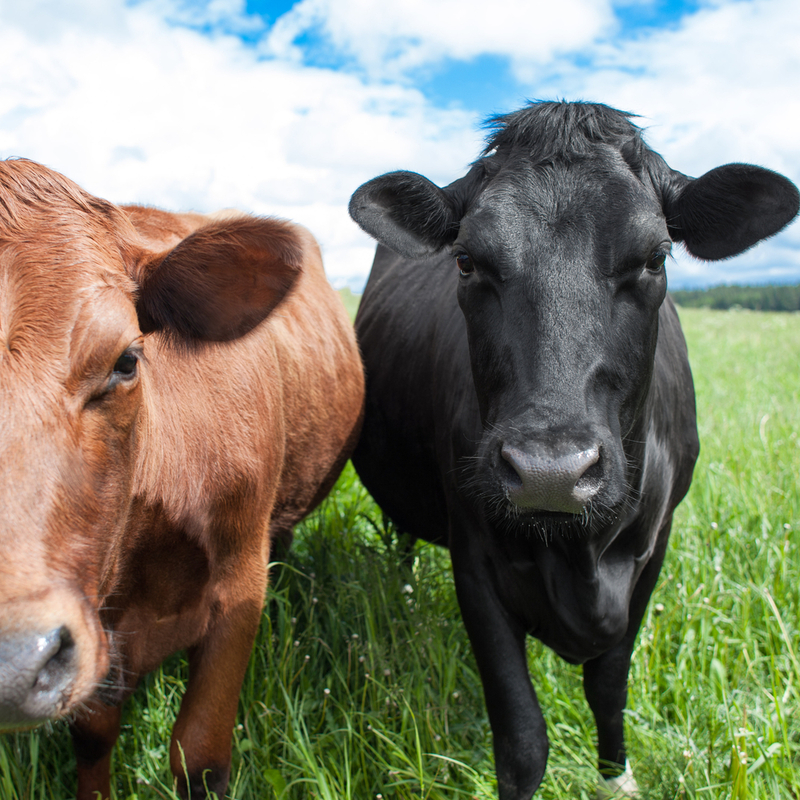 Between 2010 and 2012, Northern Ireland prime cattle slaughterings fell by 11%, offset to some extent by an increase in cow slaughterings as the local beef cow herd has once again gone into decline.